Celebrate important birthdays with an honor gift and ecard! View the Birthday ecard gallery to send a different ecard. 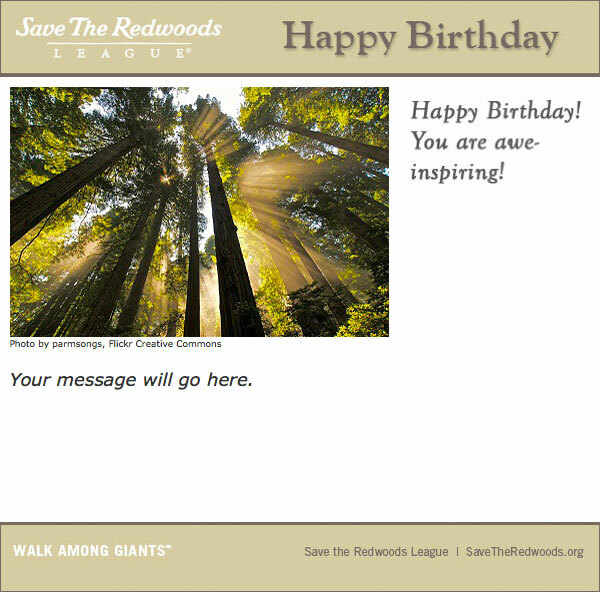 Your special honoree will receive a lovely redwoods birthday ecard. 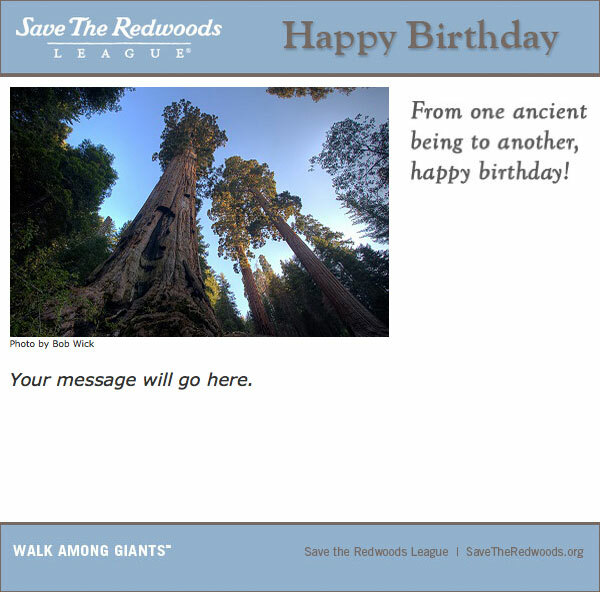 Honor your loved one with a $50 gift to the League and send a lovely birthday ecard.